If you purchased shares from a registered British Columbia employee share ownership plan in 2017 or within the first 60 days of 2018, you’ll be issued a Certificate ESOP 20. If you invested in a registered British Columbia employee venture capital corporation during the same time frame, you’ll be issued a Certificate EVCC 30. These certificates will let you know how many shares you bought and the credit amount you’re allowed to claim on your return. If you’ve received an EVCC 30, you’re also eligible to claim the federal tax credit. 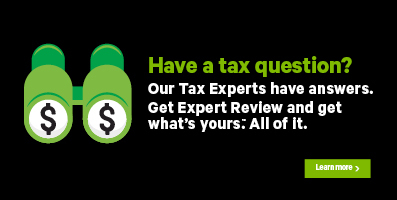 This federal tax credit will be automatically calculated for you when you enter your information into H&R Block’s tax software. Tax Tip: If you bought ESOP or EVCC shares in the first 60 days of 2018, you can choose to claim the B.C. employee investment tax credit on either your 2017 or 2018 return; you can also choose to split the amount of these credits between your 2017 and 2018 tax returns. If you decide to split the credit between 2017 and 2018, be sure to write the credit amount you’re claiming in 2017 as well as the amount you’re claiming in 2018, on your certificate. Keep in mind, you can’t carry forward any unused amounts of the British Columbia employee investment tax credit to future years. You’ll have to apply these tax credits to the same year you made your investments. Before you begin, make sure you tell us that you lived in British Columbia on December 31, 2017. Under the INVESTMENT INCOME heading, select the checkbox labelled British Columbia employee share ownership plan tax credit and/or British Columbia venture capital tax credit, then click Continue. When you arrive at the pages for your British Columbia employee share ownership tax credit and/or British Columbia employee venture capital tax credit, enter your information into the software.